JYJ has taken the top spot on Japan’s large-scale record store Tower Records’ October K-pop chart. 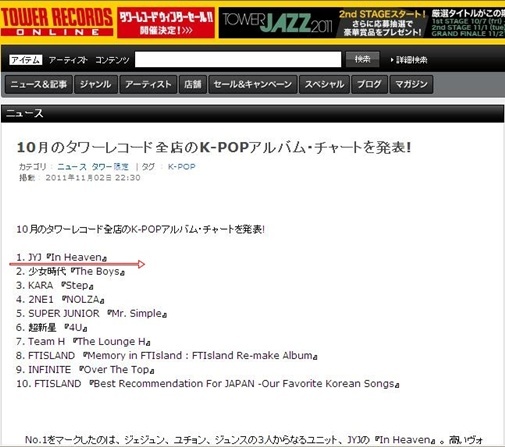 On 2 November, Tower Records Japan published their Kpop chart for October. 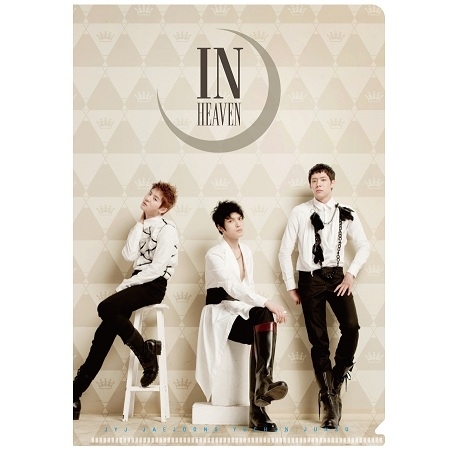 The results showed that JYJ’s “In Heaven” was no. 1, and at 2nd place was SNSD’s “The Boys”, followed by Kara’s “Step”, 2NE1′s “NOLZA” and Super Junior’s “Mr Simple” was in 5th place. Netizens said, “They took no.1 spot even without Japanese activities, it’s great,” “Well done, JYJ” “The three men that capture the attention of the world,” and other responses. Also, JYJ successfully completed their Spain concert on 29 October and following that, will be holding their “JYJ Europe Tour Concert 2011 in Berlin, Germany” at the Tempodrom on 6 November, the 2nd stage in the European leg of their tour. This entry was posted in Achievements, ALBUM, INFO, JYJ, Kim Jaejoong, Kim Junsu, Momma's Boys, Momma's Music Favorites, Park Yoochun, Song, Translation and tagged Jaejoong, Junsu, JYJ, no.1, october, Tower Records. KPop Chart, Yoochun by chaelwest. Bookmark the permalink.